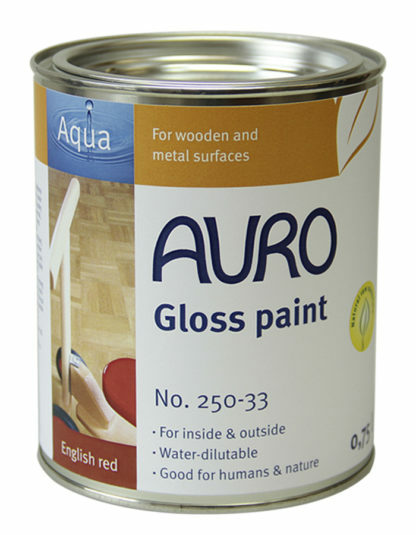 Solvent-free natural linseed oil gloss paint for wood and metal inside and outside and for wooden materials inside. Good weathering resistance, quick drying and virtually odourless. Tested and certified ‘safe for toys’ and ‘saliva- and perspiration-proof’. Pretreat wood types rich in active substances with AURO Special primer No. 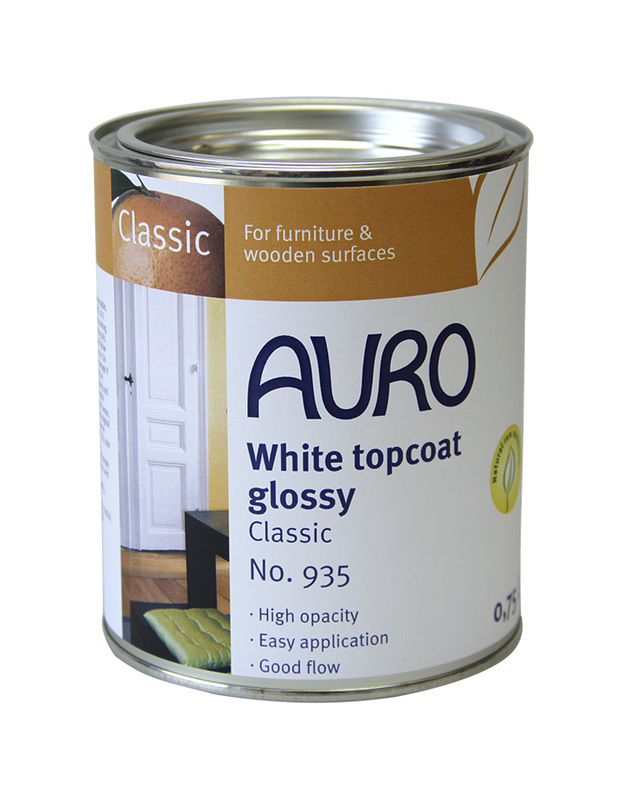 117, other wood types with AURO Hard primer No. 127. Thoroughly prepare and prime wood or metal surfaces. Then apply at least two paint coats. Stir well, do not apply too thick. Tools can be cleaned with water and AURO Plant soap no 411, or with AURO Thinner no. 191. In order to achieve a uniform surface, roll in horizontal direction first, then vertically. The colour tones of the paint can be freely mixed among each other. See our colour chart for numerous colour tone examples.